Major League Baseball's Cy Young Award is annually doled out to the best pitcher in both the National and American Leagues. It's determined by a vote from a selected committee known as the Baseball Writers' Association of America which consists of sports journalists from around country. While sometimes the winner can appear statistically obvious, there are many years when the race can come down to a handful of worthy candidates. 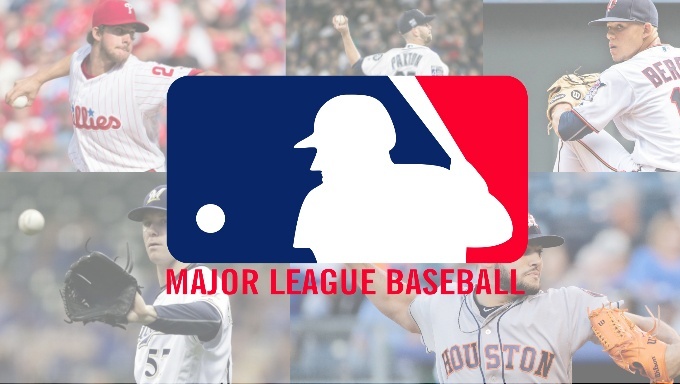 Both Cleveland Indians’ ace Corey Kluber and the Washington Nationals’ Max Scherzer face 3/1 odds at recapturing their awards according to some of the top online betting sites. Next up after potential repeat candidates, Boston’s Chris Sale (5/2) and the Los Angeles Dodgers’ Clayton Kershaw (15/8) who are the overall favourites in their respective leagues. Beyond those big names, however, are some perhaps less familiar pitchers who could end up being in the conversation at the end of the day. The Mariners’ James Paxton wasn’t in the conversation for Cy Young last season, but faces 16/1 odds this year according to some of the top oddsmakers covering baseball betting as whole. That could be due to the fact the 28-year-old is in the middle of his prime and putting up career-best numbers in a pitcher-friendly ballpark. The Mariners starter set career highs in wins (12), strikeouts (156) and ERA (2.98) in just 24 starts, also a career-high. If his upward trend continues, it’s perfectly reasonable to expect Paxton to compete for the Cy Young at his current odds. Despite his somewhat long odds of 25/1 for the Cy Young award over at Betway, Lance McCullers was as clutch as you can be for the Astros in their World Series run last season. Like Paxton, he has yet to reach his full potential starting just 22 games in 2017, but unlike Paxton he’s only 24. While his ERA ended up a pedestrian 4.25, his hot start to 2017 granted him All Star honors for the first time in his career. McCullers reached a career-high in wins with 7 and strikeouts with 132 last year and was dominant in Game 7 of the World Series to help the Stros take home their first world championship. He could ride that momentum to breakout results in 2018 and with a deep Houston roster, he could find himself in the hunt for Cy along with some of his rotation mates. Next up, Jose Berrios is another young gun who, without the luxury of pitching depth in Minnesota, has been given a lot of experience in two seasons time. The highly touted prospect could bloom into a major innings eater and is trending up after a difficult rookie year in 2016. He posted a 3.89 ERA over 25 starts in 2017 and compiled an impressive 14-8 record while being just under 60 days shy of 24. That potential lists him at 25/1 odds with Ladbrokes and if you’re looking for another breakout candidate to wager on, Berrios is definitely worth a shot on a Twins team that has more than a reasonable chance of winning the AL Central. Yu Darvish was one of the biggest free agency signings of the offseason, if not the biggest as he essentially replaced the departing Jake Arrieta in Chicago. Some might have thought Darvish’s career was teetering as he posted a sub-par 4.01 ERA in 22 starts last year, but a trade to the Dodgers revitalized his season. Despite a rough Series, Darvish was stellar in his nine regular season starts in LA and the NLDS and NLCS games he pitched in. He goes from one contender to another with the Cubs and with pitching guru Jim Hickey to help him adjust, Darvish is a stronger candidate than his 33/1 might suggest so browse new bookies for better odds. Milwaukee is an upstart team that got a lot of help in the offseason, and that should fit nicely with Chase Anderson’s stellar potential in 2018. He may be 29, but Anderson’s 2017 suggests he’s certainly peaking and with a better team and rotation around him, the Brewers’ ace could be a key cog in a competitive NL Central. In 25 starts last season Anderson posted career highs in ERA (2.74), strikeouts (133) and wins compiling a praiseworthy 12-4 record. If he can improve on those stats, he should be a competitor for the Cy Young, though he faces 50/1 odds with Betfair to do so. One of the bright spots of the Philadelphia Phillies rebuild has been the development of Aaron Nola. With Arrieta coming to town in the offseason, a little bit of pressure will be taken off Nola’s shoulders and he could put up career numbers in 2018. Nola showed great consistency over his 27 starts last season and despite a 12-11 record that could be attributed to his run support, he posted a 3.54 ERA, struck out 184 batters and he’s still under 25. A big season from Nola could mean big things for the Phillies in a relatively weak NL East and he could gain some major Cy Young buzz as the Phillies continue to improve as a whole.